Alternate Names: "Totally Spies DS", "Totally Spies! 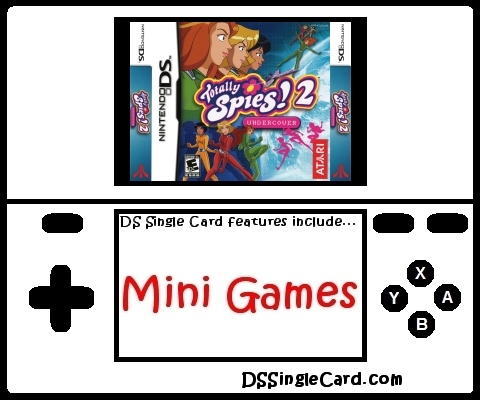 DS", "Totally Spies 2: Undercover", "Totally Spies 2 Undercover"
Bring your firends into the fun with wireless gameplay. Stop the baddies by using all new items and vehicles.